The great thing about this guide is that the style is great for any jaunt you’re planning to take this summer. I mean lets be honest, stripes, tassels and metallic sandals will look perfect in anyone’s wardrobe once the sun decides to show its face. 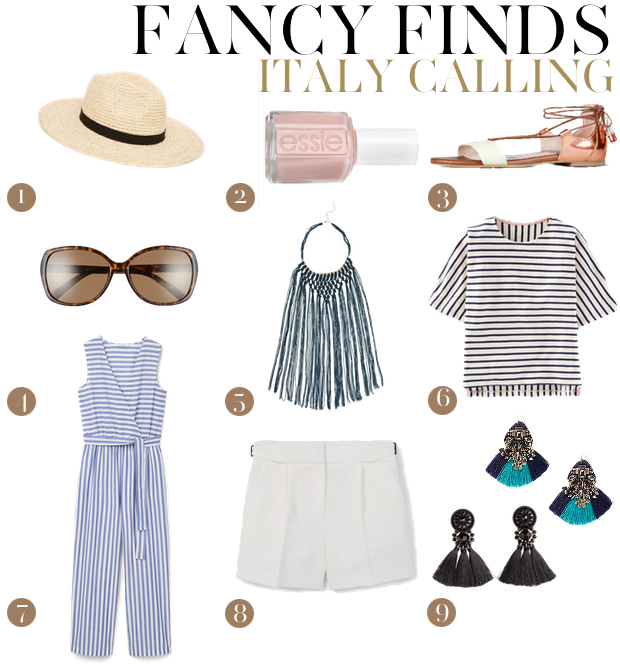 Until Italy calls you’ll likely find me humming the tune of “Moon River” and channeling my inner Hepburn-esque as I squeeze every last accessory into my case, leaving just enough room for a few pieces that I pick up along the coast. Thinking a white linen blouse and a bottle of fresh vino? First, super jealous of your trip to Italy!! Second, loving that striped jumper. Add a fedora and a glass of wine and I’d be in heaven! Oh I am going to Italy for the first time this year and I am so excited! I have been trying to figure out all I need to do and see that I haven’t even thought of the packing crisis that may ensue!